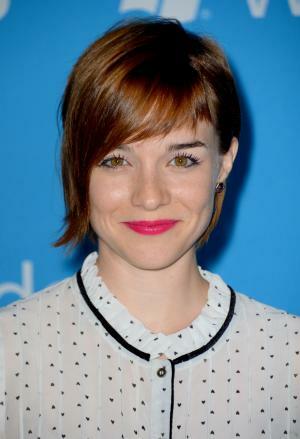 Renee Felice Smith was born on 16 January 1985, in New York City, USA, of Italian and Irish descent. She is an actress and producer, probably best known for her role of Nell Jones in the television series “NCIS: Los Angeles”. A talented actress, how rich is Renee Felice at present? Sources state that Smith has earned a net worth of over $4 million as of late 2016, established during her acting career spanning less than 10 yeas. Smith grew up in Great South Bay in Patchogue, New York, where she attended Patchogue-Medford High School. She later enrolled in Tisch School of the Arts at New York University, double majoring in Drama and Journalism and minoring in History. While at NYU, she also took classes of commedia dell’arte in Florence, Italy, and subsequently also attended Stonestreet Studios Conservatory and the Lee Strasberg Institute. Smith became interested in acting during her early childhood years, appearing in a national television commercial for Dannon Yogurt when she was six. She then played a Munchkin in her middle school’s production of “The Wizard of Oz”, and eventually made her theatre debut with a starring role as Astor in an off-Broadway production of “Wildflower” at Second Stage. She was a member of the Sundance Institute’s Theatre Lab on Governor’s Island in NYC. Her television debut came with a small part in the 2008 series “Viralcom”. Two years later, she was cast in the leading role of Dinah Thorpe in the series initially called “Wyoming”, however, the show was not picked up by the CW and only the pilot was produced, entitled “The Wyoming Story”. Later that year Smith joined the cast of the popular CBS action television series “NCIS: Los Angeles”, the first spin-off of the acclaimed series “NCIS”, portraying the intelligence analyst Nell Jones. The show offered an ideal showcase for her talent, which enabled her to become a member of the main cast, instead of a recurring character as planned initially. The role has put the young actress on the map in the acting world, gaining her wide recognition and considerable net worth as well. The following year Smith expanded her credits into films, when she was cast in the supporting role of Missy in Tony Kaye’s drama film “Detachment”. In 2014 she starred as Frankie in the short sci-fi production “Code Academy”, and another short film role followed in 2015, in the drama “Baby”, which premiered at the SXSW Film Festival – aside from starring as a young and troubled woman Naomi, Smith also served as the film’s co-producer. All added to her wealth. That same year, the actress won the SET Award for Portrayal of a Female in Technology, presented by Mayim Bialik of “The Big Bang Theory”, and EIC President/CEO Brian Dyak at the 2015 NCWIT Summit for Women and IT. Aside from film and television, Smith has also appeared in a number of national television commercials, such as the Juicedratic Equation for Starburst Fruit Chews and Mini-Minneapolis for Starburst Mini. In addition, as of 2012 she has been co-creating a children’s book series named after her French bulldog, Hugo. Most recently, Smith served as the Social Media Ambassador for CBS at the ACM Awards in early 2016. When it comes to her personal life, Smith is apparently still single, and there are no rumours of any romance in the air. 3 First acting gig was a national television commercial for Dannon yogurt at age 6. 4 Won "Most Likely to Win an Oscar" in her high school's superlatives. 5 Is an excellent tap dancer. 6 Attended Patchogue-Medford High School on Long Island, New York. 7 Attended the Tisch School of the Arts at NYU with friends Nelson Franklin, Lauren Silvi, and Paige Howard. 8 Is of Italian/Irish descent.